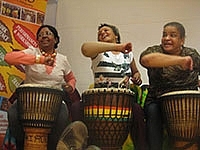 IROKO Rhythmic Connections, funded by The Greater London Authority, will bring together older people (some of whom are living with mild/moderate dementia) and younger people, in a series of intergenerational music making encounter, involving traditional African drumming, movement, singing and chanting. The project will enable young people in the London Boroughs of Barking and Dagenham, Newham and Redbridge to undertake social action and/volunteering activity which will improve their mental wellbeing. Creative and transferable skills enhancement training for 10 young volunteers, who will be using storytelling, poetry, songs and dance to explore issues affecting older people. Showcase performance by the 10 young volunteers involved in the skills enhancement training programme. Award of a National Open College Network recognised certificate to successful participants in the training programme. IROKO is seeking to recruit 20 enthusiastic young volunteers between the age of 14 – 20, to participate in this exciting and creative project. Participating young volunteers will be encouraged to take part in the hands-on music workshop activities, where they can learn some simple folk songs from the elderly. They will also be encouraged to introduce the elderly to ‘something new’ e.g. simple popular songs and gentle dance movement. If you, your child or the person that you look after are interested in taking part, or know anyone that might be, please CLICK HERE to download and fill the Volunteer Registration Form. Save the document to your pc and send it to IROKO as an attachment, using the email below. A project that used fun and creative means to enhance the practical English speaking skills of refugees/new migrants in Newham London, was funded by People’s Postcode Trust, a grant-giving charity funded entirely by players of People’s Postcode Lottery. A project supporting homeless and vulnerably housed people in the London Borough of Newham, using creative arts activities. A family bonding project supported through funding from People’s Health Trust using money raised by HealthLives through The Health Lottery. Supported through funding from Aspers Good Causes Fund, provides opportunities for the development of skills of London Borough of Newham young people and their parents. Opportunity for skills development and participation in fun and creative activities. Encouraging discovery and sharing of oral stories! 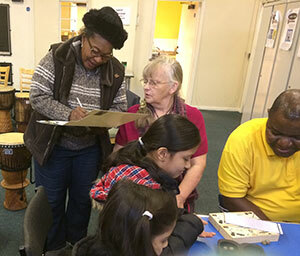 'The Royal Docks Stories’ funded by The Royal Docks Trust, aims to uncover interesting people, stories and experiences about the Royal Docks area. Discovering the history and contributions of Africans in and around Canning Town since the 1920's. The Homage to Canning Town African Ancestors project explored the areas in and around Canning Town that have historical links with Africa. Since 2009 Big Lottery has funded IROKO Family Edutainment project under its Family Learning Programme. The Forgotten Folks project was funded by Comic Relief. 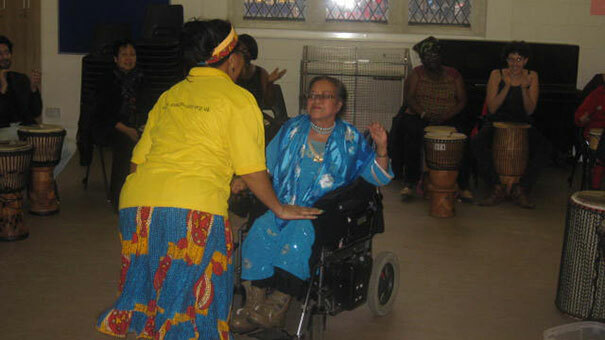 It incorporated fun workshops that used elements of African arts and culture to break down the social isolation and health problems usually faced by elderly people. IYE AJA means Umbilical Cord in the Itsekiri language of Nigeria. This project, funded by Heritage Lottery Fund, aims to highlight and celebrate the ingenuity of Diaspora Africans in managing to retain an active commitment to their customs and values. A project to explore the Oral history behind the artefacts in the British Museum's Sainsbury's African Gallery.